At the Council's AGM on Tuesday 5 June 2018 a new Mayor and Deputy Mayor were elected for Mid and East Antrim to serve for the 2018/19 period. Councillor Lindsay Millar was duly elected to serve as the Mayor of Mid and East Antrim Borough Council for the 2018/19 period. Speaking about the prestigious appointment, the newly elected Mayor Cllr Millar said, “I’m honoured to take up the chain of office for the great borough of Mid and East Antrim. I will ensure that I work hard to deliver for all the citizens living here and help promote the fantastic assets we have here on our doorstep. 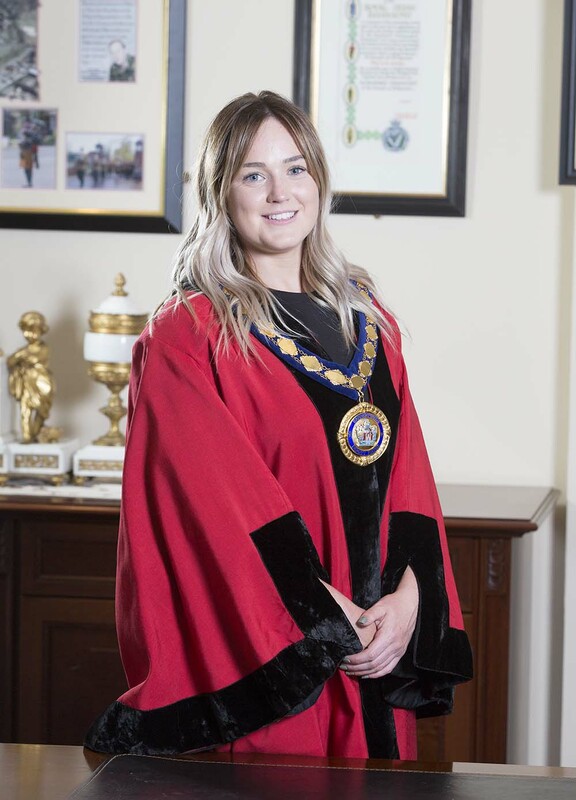 Councillor Cheryl Johnston was duly re-elected to serve as the Deputy Mayor of Mid and East Antrim Borough Council for the 2018/19 period. Deputy Mayor for the term is Cheryl Johnston, she is delighted to be serving in the post for another year: “It’s been a privilege to serve as Deputy Mayor during the past year and it’s an honour to do it all again. I have learnt so much this past year and hope that I can bring some of that experience to the role.